How about this: You and I are going to have a competition to see who is the best salesperson. The winner takes home their day’s revenue in cash. Sound good? Okay, you’re in. First, we each need to pick an item to sell. It can be anything you want. Then we are going to go out on the streets and offload as many of them as we can. I guarantee I am going to win. Why? Because I am selling $10 bills for just $5. I hit the street, and after some initial disbelief, I start selling. Word gets out, and people are flocking to me in droves. I sell out before I’ve caught my breath. Let’s see how I did: Units shipped? 10,000. Revenue? $100,000. That’ll do nicely, thank you. What about profit, though? Oh, I lost $50,000 — but does it matter? My revenue and growth are wonderful, and my happy customers keep coming back again and again. Growth is everything in the world of tech startups. The industry’s obsession with lists of the fastest growing companies, such as the Deloitte U.K. Technology Fast 50 and the Forbes Fast Tech 25, paint success as a hockey-stick-shaped growth curve combined with equally skyrocketing revenue regardless of the route those companies take to get there. As I’ve written about previously, the pressure to hit these expectations can lead to bad behavior, such as the proliferation of a growth-or-die mindset. Some companies strive for growth at the cost of good business practices or the mental and physical health of their employees and can have a negative impact on society and the planet. But what kind of grand mission involves losing huge amounts of money indefinitely? But even if a hyper-growth unicorn has succeeded while doing everything right for its employees, one key factor is often an issue, and it happened to me in the example at the start. In my competition-winning sale of $10 bills for $5, I lost $50,000. If you asked many people — especially those not used to analyzing the world of software-as-a-service (SaaS) companies — whether a business making a significant, increasing net loss was a good thing, I’m sure they would say that it isn’t. Pinterest, which filed on March 22, made $755.9 million in revenue in fiscal year 2018 but had a net loss of $63 million. PagerDuty, which filed on March 15, made $79.6 million in revenue in fiscal year 2018 but had a net loss of $38.1 million. Lyft, which filed on March 1, made $2.2 billion in revenue in fiscal year 2018 but had a net loss of $911.3 million. In fact, Lyft appears to have made the largest ever net loss for a company going public. This raises a pivotal question: What does success mean for startups? After all, the companies that ring the NASDAQ bell get the global news headlines and the glittering cascades of ticker tape. But companies that our industry and media celebrate as successful are rarely making a profit, unless they happen to be miracle workers like Zoom. As Bloomberg reports, Uber lost $1.8 billion in 2018 against $11.4 billion in revenue, and Chinese ride-hailing firm Didi Chuxing lost 4 billion yuan ($585 million) in the first half of 2018. WeWork lost a staggering $1.93 billion in 2018 against $1.82 billion in revenue. Those companies are not yet public, but when unicorns do float on the stock market, it’s not clear if a path to profit is necessary. As Matt Levine atBloomberg wrote, one could argue that tech IPOs are being designed in such a way to protect unicorns from needing to go into the black. More companies than ever are offering nonvoting stock to the public, such as Snap in 2017, with Lyft recently following suit. This means startup founders can still retain control of their companies and make declarations that said company is less about making a profit and more about some grand mission. But what kind of grand mission involves losing huge amounts of money indefinitely? I once read a tongue-in-cheek description of San Francisco as “an assisted-living community for tech workers in their thirties.” This snide jab pokes fun at the wave of Silicon Valley startups creating services and products that seem specifically designed for a stereotypical tech worker in the city. Nowhere to park your car? Uber and Lyft can get you around. Too busy working to cook and do grocery shopping? Postmates can deliver your lunch and dinner. Living in an apartment too small for a laundry room? Rinse can do your washing. These kinds of startups are not simply selling software. They are leveraging software to scale a traditional service economy. Companies like Uber, Lyft, Postmates, and Rinse use their apps to consolidate what would traditionally be plethora of local businesses serving a local area into a singly held global operation. All of this is fantastic news for the customer; the typically well-paid, white-collar worker who gets the benefit of high tech, efficient, convenient services. These apps are often involved in a race to the bottom through fierce competition. Joe Bloggs, your stereotypical software engineer, is swimming among free ride coupons for Uber and free delivery codes for Postmates. But who is really paying the price for this? The cost of developing good software is not cheap, especially if your software is being developed by a San-Francisco-based company. The city has the highest average salary for software engineers in the world, with an average starting salary of $91,738. However, wages rise dramatically at well-funded startups in order to attract the best talent, especially since the average rent of a one-bedroom apartment in the city is $3,360, and the cost of living is generally very high. A software engineer with a few years of experience could be earning over $200,000 after taking vesting stock into account. This leads into a somewhat paradoxical situation: If the cost of developing software is so high and the services that are being offered are so reasonably priced, who is funding it? Who is losing out as a result? The initial question of who is funding growth is typically straightforward: It’s venture capital (VC) firms. This shouldn’t be surprising; most hyper-growth technology companies since the dot-com boom have expanded rapidly by taking on millions of dollars in VC cash in return for equity in their companies. These investments unlock hiring, support opening offices in new locations, fund development of large research and development projects and acquisitions of other companies. They are the nitrous oxide injection into the engine of Silicon Valley. In the race to be the most dominant player in the market, which leads to securing the best possible valuation for an exit, speed is key. If we recall my fantastically silly business selling $10 bills for $5, one could argue that I would be doing very well measured by these metrics. After all, who doesn’t want free money? I would clearly be in unrecoverable debt after a very short space of time, but I would dominate the market — unless someone sells $10 bills for less. In the case of real hyper-growth companies, VC firms place a bet that if companies are able to grow quickly and become the most dominant force in the market, even if operating at a heavy loss, then that rapid growth will eventually lead to monopoly profits. However, it can often be unclear how a company will become profitable and how long it will take to get there. Matt Levine writes that one way of viewing the investment of large sums of money into loss making companies selling desirable products at far below cost price is that the VC firms are essentially subsidizing consumer’s lifestyles. That free ride coupon is less thanks to your friend who gave it to you, but more thanks to the deep pockets of SoftBank, Tencent Holdings, or Benchmark Capital. Of course, there is a risk in this approach. If I have my business selling $10 bills at a loss, then eventually I will go bankrupt, and that’s my fault. If I sell access to my subscription software and raise VC money so I can sell it at a loss to capture market share, then eventually I’ll need to stop raising money and start increasing prices or efficiency so I can claw back losses and start making a profit. If that fails, then I lose and the VCs lose. But what does losing mean to us? Well, for the VCs, it isn’t too much of a big deal. Usually, only a small handful of their portfolio companies need to exit well for them to successfully grow their investment funds. Maybe my failure is a drop in the ocean to them. And what about my own failure? Hurt pride aside, the experience was good, and as long as I didn’t get myself into personal debt, then there is a whole world of high-tech jobs looking to snap up an ambitious ex-founder. But the startups that were mentioned earlier in the article — Uber, Lyft, and Postmates to name a few — represent companies that have a gig economy at the core of their business. Uber and Lyft drivers get paid per ride and work as much or as little as they like. Cycle couriers such as those that work for Deliveroo in the U.K. get paid per delivery, similar to Postmates. According to Recode, gig economy workers are earning half of what they didfive years ago. In summer 2018, Lyft was required by law to pay their drivers minimum wage in New York. Reviews on Glassdoor from Deliveroo drivers highlight a number of issues: workers reporting that they are paid under minimum wage, have no sick pay, have to pay for wear and tear on their vehicles, are not provided insurance by the company — the list goes on. Similar feedback has been given for Uber, Lyft, and Postmates. One could argue that the gig economy is ideal for people who want casual, flexible part-time work: students, retirees, or people who just want to earn a bit of extra money from time to time. However, this view is blinkered: In the U.K., 6 million adults were reported to be working full time via gigs. Given that the barrier of entry to gig economy jobs is low — a worker typically just needs a vehicle — one could posit that a high proportion of the workers are those with the least transferable skills and ability to get secure salaried jobs. This means their livelihood depends on gigs created by subsidized benefits to the customer, leaving them vulnerable. There is no guarantee of earnings. There is no predictable amount of income for a given day or week. Why should gig workers suffer in the quest for more market share and a bigger return for the VCs? We know the battle for market dominance requires rocket fuel. However, large cash injections are often not enough; instead, they are often coupled with the cost of the product being subsidized so that it really is a deal that is too good to be true for the consumer. For many startups, the subsidy to the customer manifests in net losses for the company and risks for the investors and founders. However given that most tech companies go public while losing money, one could argue this isn’t even that big of a risk in today’s IPO market. For companies that generate revenue through a gig economy, there is another party that will always lose: the worker. The moped driver who is trying his best to provide for his or her family or the bicycle courier who is trying her best to save for college. When their income and rights are compared to those who fund and develop the software, they are truly a second-class citizen. Companies should have to place the wellbeing of their workers at the core of their business regardless of the importance of their role. Some have argued that gig economy companies are in a rush to go publicbefore new labor laws are able to catch up with them. Drivers are not classed as employees because it could be cost-prohibitive. Instead, they are classified as independent contractors, which allows companies to avoid being bound to legislation requiring that they provide minimum wage, sick leave, health insurance, and other benefits that salaried staff would expect. 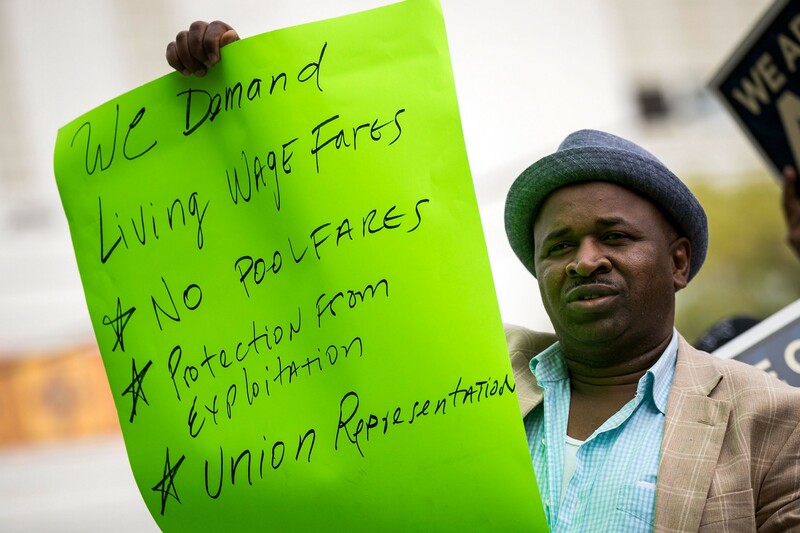 In March 2019, Uber settled a $20 million lawsuit over driver classification ahead of its planned IPO, and Lyft filed a lawsuit against New York over the aforementioned minimum wage laws. Lyft’s motion for an injunction was denied. As traditional service economies get disrupted by technology-based startups, we need to keep the bigger picture in mind. For investors and founders, the implications of losing the battle against competition aren’t fatal. There are always other companies to invest in and other jobs for founders to do. For consumers, there is everything to gain through the flood of new technology-rich services at a bargain price. However, those in the middle — the gig workers delivering those services — are the ones who suffer. We need to call for greater cooperation between governments and technology companies to ensure that those that work gigs for the benefit of the customer and the company’s rapid growth are not left to suffer as unequal. They, too, are part of our society and should have equal opportunities and rights. 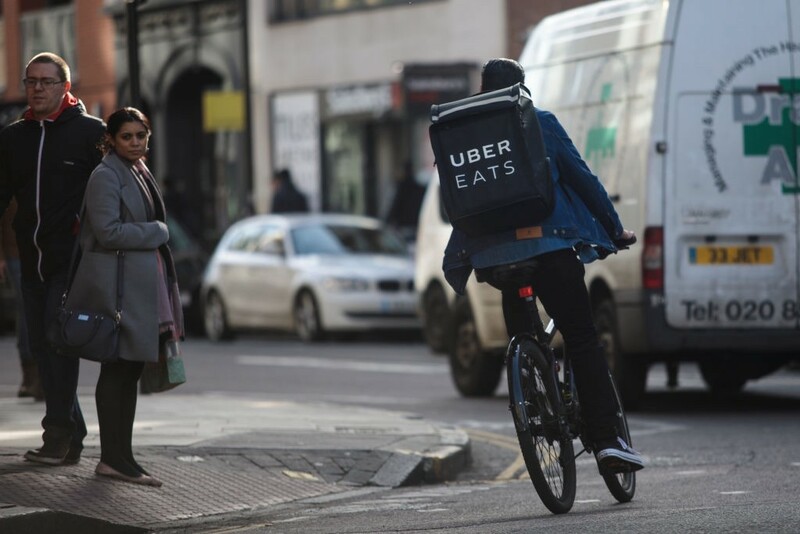 There is some progress in this area: This year, delivery company Hermes became the first U.K.-based company to provide trade union recognition for their gig economy workers. But there is still a long way to go. Workers providing these services have little protection. As Alexandrea Ravenelle writes on Medium’s OneZero, the gig economy leaves workers open to sexual harassment. And as other news outlets report, the stress of making money with little safety net can cause mental health issues and, in the extreme, can even lead to suicide. Services should benefit society as well as generate revenue. Companies should have to place the wellbeing of their workers at the core of their business regardless of the importance of their role. We all have bills to pay, and we all want to hope for a better financial future. Let’s ensure that disruptive, high-growth, heavily subsidized services are for society’s gain rather than for those with the most to gain.